This magnificent piece of architecture inside the headquarters of Deutsche Bank in Frankfurt Germany was designed by Mario Bellini Architects. The state-of-the-art “Green Building” is an ecologically sustainable office building. 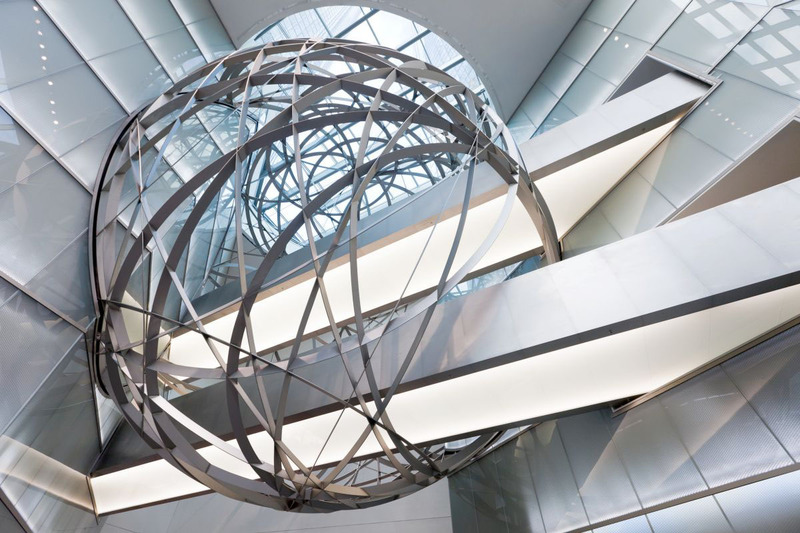 The steel sphere inside the building is a fine piece of sculpture symbolizing the highly modernized and energy efficient environment.